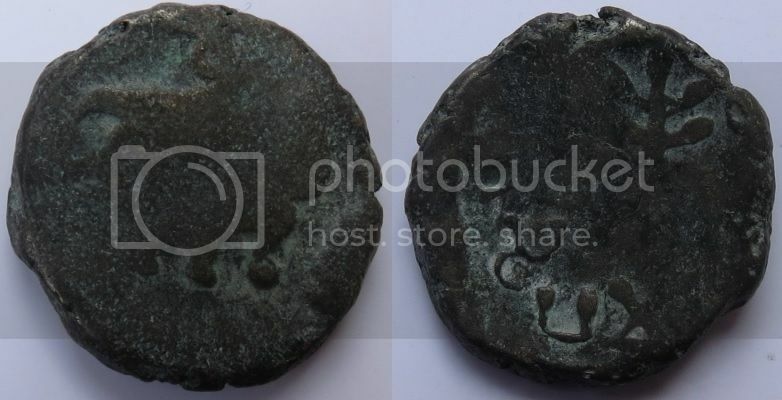 First coin (6.3 g) has the legend "Sa-pa-ma-(ta-sa)"
The second coin (7.2 g) has the legend "(Sa-)pa-ma-ta-sa"
There is a reference to Sarpamitra in Pieper AICR, nr 989. This is a smaller fractional unit. Of some other kings units of a similar weight around 6.7 grams are illustrated. 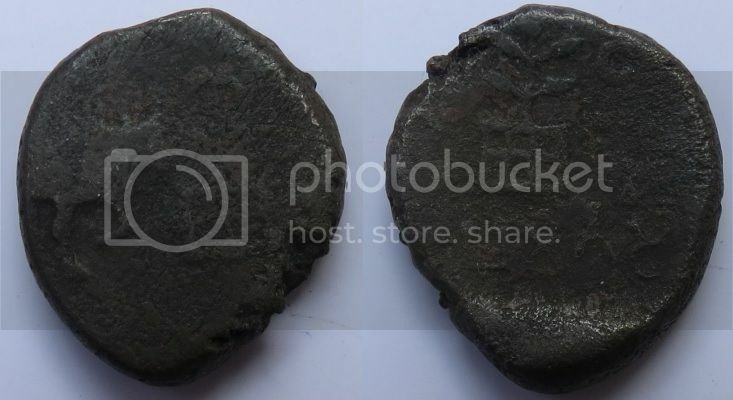 Difficult to judge on the photos but on your top coin there seems to be a character before the first "Sa". 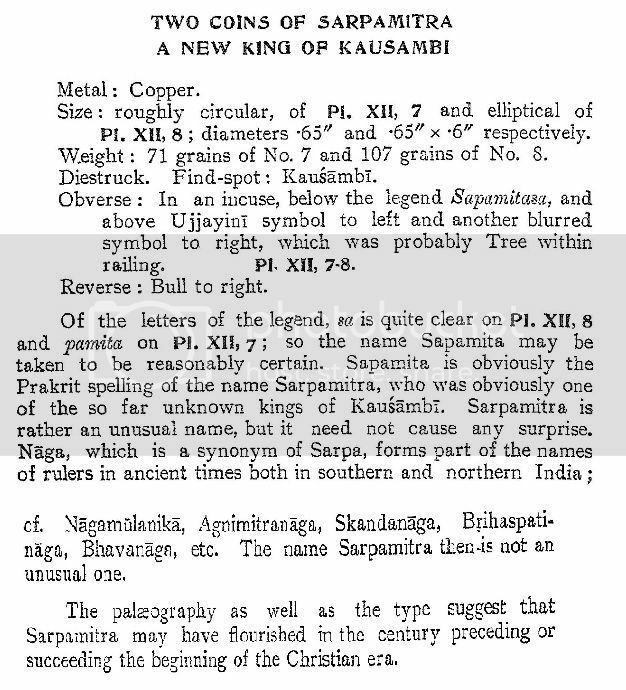 I don't think this is "Sri" since i don't see this title on any of the other rulers coins. Might it be read as "Pra" ? On the lower coin there migth be a vowel modificator on top of "Ma" confirming it to be read as "Mi" ?